Remote work is quickly becoming considered a norm in many businesses. While the idea isn’t anything new, our technology is. Between broadband internet, robust networks, Unified Communication and team collaboration tools, even new advancements like 5G – teams can stay connected and on top of their work, without ever stepping foot into an office. Of course, with managing any employees comes a set of challenges, and managing remote workers brings its own new set of challenges. The exact technology we already utilize at work, however, can also be used to help keep on top of everything, including remote workers. 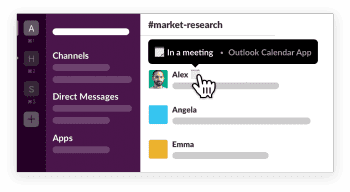 Slack is easily the most popular workplace chat, and even collaboration, app which already hosts a set of features that can help keep teams working together. One of Slack’s best-selling points is the ability to develop seemingly endless integrations, bot and apps to work with and inside Slack. With their massive app directory, it’s easy to find an already developed solution, and build a set of tools within the chat app. However, with so many options to choose from, we took a close look at what apps and integrations are on the market, and put together a list of some of the best to help manage remote workers with Slack. Slack itself does in fact have file sharing built in – fact this is something shared by most Slack alternatives as well – and this is great for basic sharing. However, things can get really bogged down when a large team is constantly sending new documents. Slack’s interface could just prove cumbersome and annoying when sharing large groupings of files as well, or if sharing across different clouds and not directly from your computer. Not to mention, Slack does impose a file size limit. Thankfully, there are a good number stand-alone alternatives to file management and sharing, the best of which also have their own integrations for Slack. Dropbox – As one of the most popular file sharing platforms, Dropbox supplies users with a virtual box, a shared folder, in which they place their files and assign access to other users. With a Slack integration, your Dropbox can live right in Slack so any file can be accessed or shared instantly. Google Drive – Probably the most familiar option is Google Drive. Businesses utilizing Google apps or even just Gmail will already be familiar with Google’s online file hosting platform, and if you aren’t, well its free to use with and all you need is a google account. Oh, and of course, it can integrate right into Slack as well. Octonius – Octonius is a useful bot that lives in your Slack office, and helps out with file sharing. Octonius helps users search files in the cloud directly from Slack, and even share easily across Slack from any other cloud network (even Drive or Box) with just one click. Octonius also removes the need for users to have access to the same cloud solution. Without a dedicated solution to help organize and prioritize projects, it’s easy to lose focus of who should be working on what. This could be increased with remote workers that maybe don’t discuss projects or progress with managers every day or just simply aren’t around the office. For those already utilizing other platforms for this such as Asana or Trello, those integrations would make most sense to bridge the gap between and include the necessary information right in Slack. Since you will probably be doing most communication with remote workers through Slack, it would make sense to have all of that information handy in the same app to cut down on clutter. There are stand-alone options for Slack that might not require another app and subscription, as well. 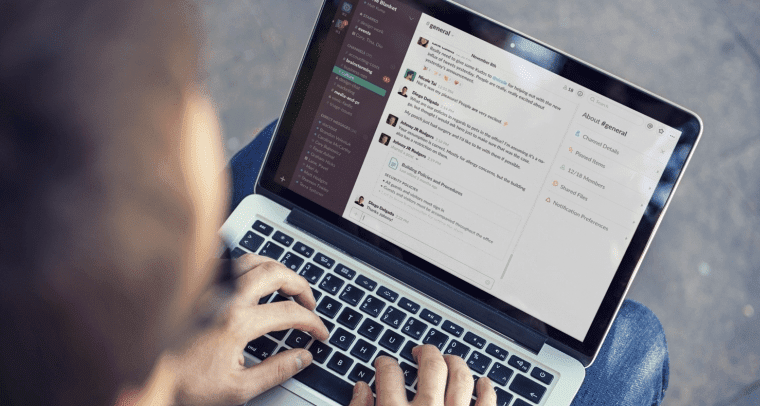 Asana or Trello – If your office is already utilizing one of these very popular project management applications, it of course simply makes the most sense to just integrate them directly into Slack. These integrations are also developed by the company themselves so should work flawlessly with a great number of features, and most likely exist for most if not all project management apps. Slingr – As a stand-alone option for those looking to turn Slack into their only project management app, Slingr exists. Slingr allows users to add channels to the platform, assign tasks to channels, add notes to tasks, re-assign, close and update tasks, send Google Calendar reminders to workers with tasks, and retrieve info like all open tasks and tasks due today. Busybot – Less of a new platform and more of just a bot, Busybot allows users to assign tasks to your team members directly through Slack, or even yourself of course. You’ll also receive automatic reminders in Slack for when tasks are due or when someone assigns you a task. Chatbots might not replace call center agents just yet, but they’re still good to have around. Along with project management, it is important for managers to be on top of their resource allocation of remote workers. While a project management can tell you who is assigned to what, resource allocation will let users know who is actually doing what, and what resources are free. So, if you want to know which one of your software developers might be free to switch priorities and debug a minor issue, resource allocation can help with that. These add-ons are great for a quick glance to see who is working on what, and even set time limits or track the time it took to complete certain goals or tasks. HourStack – As a simple time tracking and resource allocation tool, HourStack uses simple slash commands from any channel so users can start time tracking, stop time tracking. Any command will create new entries in HourStack for specific tasks and projects, and generate well as view a list of all entries. This keeps a running list of who is working on what, and how long they’ve been at it. WorkingOn – With a bit more of a minimalist approach, WorkingOn provides teams with a simple progress tacker. Team members can post updates to WorkingOn, and Slack publishes these updates to a dedicated channel for checking progress – so users can see what’s happening real time and who is doing exactly what. Status Hero – Going one step further, Status Hero offers daily goal tracking, and even a check in option. Status Hero acts as a “set it and forget it” tracking tool to visualize daily goals and team member’s status updates. The bot can also collect check ins to see who is on their computer and working, as well as status reports, participation and goal completion metrics. Calendar management could be considered similar to project management, and could even be covered by similar integrations. However, a dedicated calendar management tool will help managers sync all remote worker’s calendars to update with event invites, task deadlines, meetings, long term goals, holiday parties – whatever. Some of these integrations are more on the basic side, while some also allow for more complicated tasks and features such as the ability to sync Slack and its integrations with other major calendar apps, just like file management. With so many teams invested in Google Apps, those using Google Calendar can easily find integrations that work both stand alone and with Google Calendar, or just directly integrate Google tools into Slack. Google Calendar – Of course, as mentioned above, there is a direct Google Calendar integration to sync any invites, updates, events from Slack right into your Google Calendar. Super handy for those already utilizing the app, but also a great option for teams not currently using Google apps. Since they’re free and simple to use, its cost effective and easy to adopt. Calbot – While not a direct Google integration, Calbot is another chatbot that allows users to control their Google or even Microsoft calendar directly from Slack. Of course, Microsoft apps are just as – if not more – popular than Google counterparts. Calbot would be a solid choice for teams invested in the Microsoft ecosystem that want to bring their calendar right into Slack. Meekan – Meekan goes beyond syncing just your own calendar, and allows managers to take a glance at the entire team’s calendars. Meekan will match everyone’s calendar entries to find common free times to schedule a meeting, or allow team wide calendar syncing. For managers that need help organizing their remote employee’s time sheets, there’s a Slack integration for that as well. With it all baked right into Slack, employees will be able to better stay on top of their clocking in and out. With one less app or website to utilize just to clock in and out every day, workers should be less likely to forget to do so, and of course everything will stay neat and organized in Slack for managers to access at a moment’s notice. Combine this Time clock management with resource allocation or project management integrations and you’ll never miss a beat, or employee. Simple In/Out – As a really basic solution, Simple In/Out lives up to its name. This integration is a digital time card, or in/out board, that allows managers to keep track of co-worker’s clock times, or shift management. The entire interface is described as “dead-simple” and should help simplify tracking your remote employee’s hours. Tatsu – With a bit of a different approach, Tatsu helps facilitate virtual standup meetings. Tatsu can work as a time clock tool in the sense that all users would have to attend a Standup meeting when clocking in, in which Tatsu asks all the participants in a channel configurable questions one at a time, to ensure attendance. Almost the same result, with a different take. Calamari­ ­– Blending categories a bit, Calamari allows users to both clock in and out using just slash commands, or act as a leave management tool as well. Calamari is a stand-alone app, but this integration lets the functions live directly in your Slack chatrooms. Remote workers need their leave time as well, and even when working from home sometimes an employee might just be too sick to get out of bed. In the same idea of integrating all your other time management tools into Slack, well might as well add a leave time tracker to that list as well. This could prove even more beneficial when managing remote workers, as it’s easy to forget who is working or who isn’t because you cannot just glance over into the office to see who is at their desk. Stand-alone integrations exist, as well as existing app integrations like the popular Zenefits platform. Timetastic – Dubbed by themselves as the easiest way to book time off work, Timetasic allows users to manage time off requests from desktop and mobile apps, also now right in Slack. Timetastic removes the need for paperwork, updates calendars automatically, tracks everything, and even lets you download reports. GoCo – Free for unlimited users forever, GoCo is another leave time and benefits tracker. Slack integration gives you Slack notifications for the most important details, such as out of office requests, upcoming holidays, birthdays, work anniversaries, and more. Deckchair – For something a bit simpler, Deckchair Holiday Management will simply provide users with notifications and reminders, or alerts when a manager has approved or denied leave requests. In a similar fashion to resource allocation, it is important for managers to have an idea of who is at their computer, and who might’ve walked away. Slack does track the presence of all users logged in, however the way this works has recently been updated. Previously if you had Slack open you were always signaled as there, but now users appear online or offline based on their activity. This could lead to instances of a user actually sitting at their computer, yet appearing offline on Slack if they haven’t touched it in a while. These integrations help make it simpler for managers stay on top of who is available, who is away, and who is offline (and for how long!) at a quick glance. Spybot – Acting as a bit of a personal attendance bot, Spybot will notify managers through a direct message when a teammate becomes active in Slack. Spybot can also be used to save a reminder or notify you once a teammate becomes active again after going idle. Great for keeping an eye on specific workers, set it to watch all remote workers or just a few. Jibble – The Jibble bot adds a list of slash commands to allow users to track time and attendance for the entire team. Once Jibble is fully integrated it will create a list of existing team members and can track their presence by signaling Jibble directly – so they can Jibble In when they sit down and Out when they leave their computer. Attendancebot – With a stronger focus on simply attendance, AttendanceBot is an incredibly simple way to know when a worker is at their computer, working remotely, on leave, or even working on a project or in a meeting. Attendancebot allows users to direct message the bot to set messages such as “away from computer for 20 minutes” or “out sick.” The bot will provide a snapshot of the entire team to see who is noted as what. Most challenges on managing remote workers simply stem from the basic fact that they are not in the same office as managers, administrators, editors or executives. Without the ability to always hold face-to-face meetings or even just that constant in person connection with remote workers means it can be difficult to receive feedback. Sometimes what a worker is really feeling might be hidden by their words but explained through their body language – or behind the water cooler. Either way, these integrations help managers receive feedback and shape a better sense of how their team is operating, and any concerns or complaints they may have. Includer – Includer allows teams to brainstorm, analyze ideas and ultimately make a choice – as well as allowing users to ask for team feedback on different alternatives. This could be used specifically for projects, or more broadly for overall general feedback. Suggestion Sam – With a more direct approach to employee feedback, Suggestion Sam is a separate solution that allows teams to gather suggestions and feedback from both employees and even customers, if your business is in sales. When team members anonymously submit a suggestion, it is posted within a dedicated suggestion box channel. Fizz – Fizz has a direct approach to providing a streamlined performance review process with “ongoing, on-demand feedback.” Users can share accomplishments and receive input from managers in realtime. With remote workers coming in as contractors, part time, or even freelance employees, it is important to stay on top of every and all information or tax documents necessary. Of course, this will differ depending on your type of business and hires. But as many know with taxes and invoices, the excess of paperwork can get very confusing, and very fast. Add in the mix of you workers not even coming into the office, and that’s a lot of faxing you’ll have to manage. These integrations are designed to assist managers in staying on top of their accounting, contract, payroll, invoices, or anything necessary to pay employees and organize the necessary paperwork to make that all happen. Pingboard – Pingboard offers a real-time organization chart for your entire time – at a quick glance, find out who works in what department, under what manager, from what location. Not only does this provide an overview of workers, but also allows you to quickly keep all relevant information and documents handy. Structure your office team, then structure a remote team and organize that based on Full Time, Contracted, or Free Lance workers. Zoho Books – An integration of the basic accounting software designed for small and growing businesses, Zoho books and all of its great features can be included again directly in Slack for easy access. Zipbooks – Just another alternative, Zipbooks helps users keep track of all their information including invoices to help everyone get paid accurately, and faster. Without a direct Enterprise solution available just yet, Slack doesn’t really have the same level of encryption as Cisco Spark or other competitors. Thankfully, you can easily fortify your chat and construct some walls to defend your communications and keep intruders out. And of course, this can be done utilizing a number of different integrations, bots and apps out there designed for Slack specifically. With so many options, these security measures could range from messages that delete themselves to full on message logs and website trackers as well as real time tracking and alerts. You can easily tailor your own custom made defense system with so much variety. 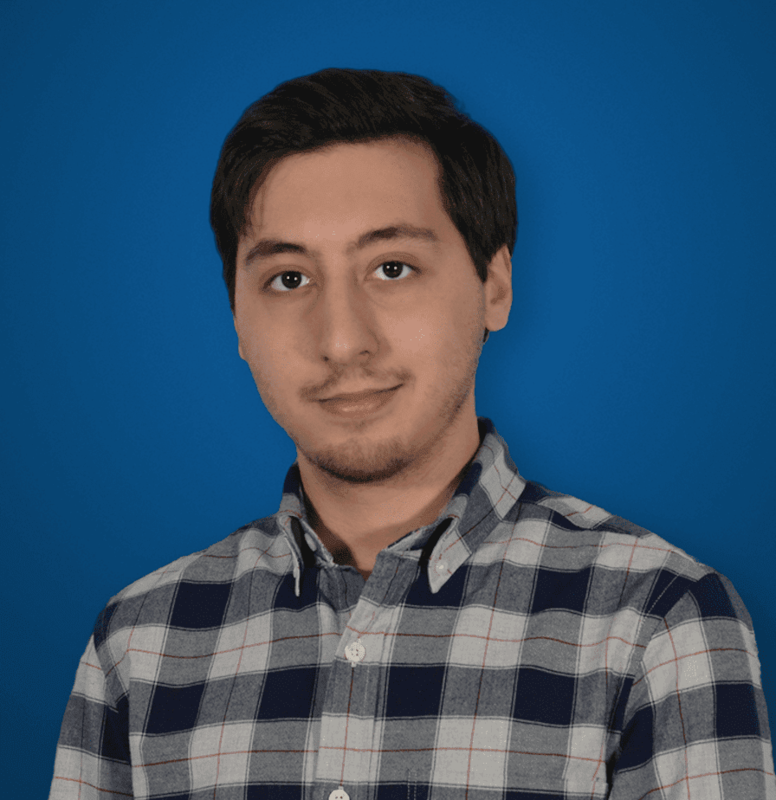 Lighthouse – If real time updates are what you are after, Lighthouse is a useful bot for administrators to gain control and visibility of their Slack team. With real-time monitoring and alerts based on all activates occurring in Slack (like file sharing, account creation, channel creation to name a few) Lighthouse can act as your command center to exercise total control of the virtual office and everything that goes on. Papertrail – Also with real-time monitoring, this integration allows Papertrail, a security and logging app, to live right in Slack. Papertrail creates a log of all important system and application messages through an intuitive web-based log viewer. Use Papertrail to save and analyze alerts and activity with long-term archives. This integration also dumps the logs right in Slack when a Papertrail trigger occurs. Bitium – To take matters a step further and to ensure your remote workers have access to only the apps they need, Bitium will come in handy. This enterprise-grade identity and access management tool is a secure and easy solution to allow employees to quickly log into their configured apps, but only those they have access to. Matt – This is awesome. Thanks for putting this list together. Super helpful. Minor observation: the link to Simply In/Out is actually pointing to Tatsu.